Adding features to things is dumb. Imagine a feature, any feature, that you could add to a piece of technology. That feature is unique, like a snowflake. And for each unique snowflake feature, there is a corresponding pundit snowflake telling you that feature is dumb. Improving things is stupid. All is futile when viewed through the lens of our mortality. Wow, way to bring the room down, Matthew. 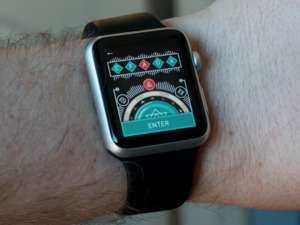 The current Apple Watch doesn't have GPS and it still only lasts for one day. It’s true. You have to buy a new one every day. 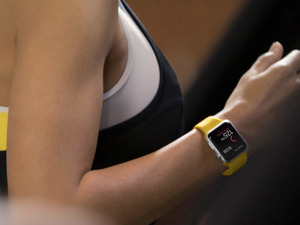 That’s the dark secret of the Watch that Apple doesn’t want you to know. Rumors of a new Apple Watch continue to appear with the latest from a KGI analyst stating that one model, the Apple Watch 2, will include GPS, a barometer, and water resistance. GPS and constant hear rate monitoring requires lots of power and unless Apple significantly increases the size of the battery or announces some new battery technology, adding GPS should not be a priority for the Apple Watch. Ah, so it’s battery life that Miller is concerned about. Well, it certainly does seem like that could a big problem and that Apple would be stupid to just jam in additional, power-hungry components without… uh… Do you think maybe we should go and actually read the Apple Insider piece he links to? Nah, probably not worth it, right? Well, maybe just to be on the safe side. Oh! So they thought of that. Huh. Well, there ya go. Hey, personally, the Macalope would rather put the power to an always-on screen instead of GPS but GPS could still be an extremely valuable feature to have. We've gone through times of consolidation throughout the history of mobile devices, but the end user experience is usually better with focused devices. Remember when someone tried to make one device that was a wide-screen iPod with touch controls, a revolutionary mobile phone and a breakthrough Internet communications device? How’d that ever turn out? They still even make that thing? You might well get a better user experience with separate devices, but at some point a combination of many “good enough” user experiences will win for mobility. Way back in 2007 the Macalope remembers reading doom and gloom about how lousy the original iPhone’s battery would be before it was released, yet it turned out to be fine (in no small part to the fact that the “experts” saying there was no way it could play video for five hours worked for rival smartphone makers). Thanks to smartphones, we’re mostly trained to charge things every day. So, as long as the Watch makes it that far, battery isn’t much of an issue. In general, however, the Macalope recommends waiting to see a device before declaring how dumb its features are. That just seems like common courtesy.